Yoga and mindfulness activities at school can help improve the emotional health of children with anxiety, according to a study. 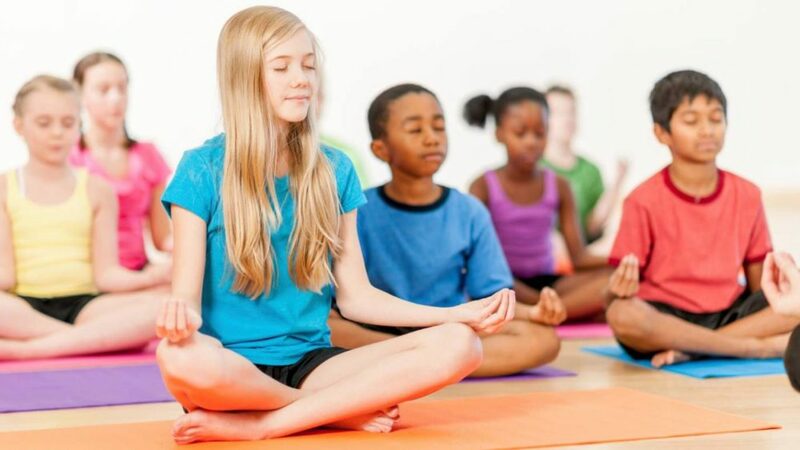 Researchers worked with a public school in New Orleans to add mindfulness and yoga to the school’s existing empathy-based programming for students needing supplementary support. Third graders who were screened for symptoms of anxiety at the beginning of the school year were randomly assigned to two groups. A control group of 32 students received care as usual, which included counselling and other activities led by a school social worker. Researchers evaluated each group’s health-related quality of life before and after the intervention, using two widely recognized research tools. The Brief Multidimensional Students’ Life Satisfaction Scale-Peabody Treatment Progress Battery version was used to assess life satisfaction and the Pediatric Quality of Life Inventory was used to assess psychosocial conditions and emotional well-being at the beginning, middle and end of the study. The study has been published in the journal Psychology Research and Behavior Management. If you are sufficiently interested and stay in Santa Clara, drop by Esha Yoga. We have yoga classes tailormade to suit Kids. Pay up online and walk into the session that works best for you. The yoga mat is calling.